Insight on participating in contests from Tsuyoshi Ito of ONWARD Photo. ONWARD Photo Competition 2014 is now accepting submissions. Tsuyoshi Ito, Founder and Director of the ONWARD gives six tips below on participating in photo contests. Six Tips for Finding the Best Competitions for You Now that you know how to effectively enter a photography competition, where will you test your skills? If you've begun your search, you've probably discovered that the sheer number of contests available makes it almost impossible to decide which ones to enter. The goal of this article is to help you, the photographer, cut past all of the industry buzz words and marketing efforts to identify exactly which competition is going to be the best fit for you. Tip #1: Work Toward Your Goal While this is the most basic of our six tips, it might also be considered the most important. When you come across a competition, start by taking a look at the juror(s) and finding out what "prizes" the competition offers. Do they align with your personal goals? Having your image chosen by a famous photographer and juror may provide the nod of approval you desire, while being selected by a curator or other industry professional can result in the right contacts. If you're solely "in it to win it," cash money and/or gifts may be enough. However, should you want to jump-start or advance your career in photography, you will want to confirm that the reward includes some kind of exposure. If so, your objective may be placement in a museum or collection versus a gallery exhibition. Want both the prize and the ongoing recognition? Find a well-rounded contest that acknowledges various goals and offers all of the above. There truly is no right or wrong decision here. We simply recommend you choose a competition that fulfills or aligns with your personal goals as a photographer. After you take note of your own objectives in entering a competition, you should take a deeper look at the hosts to learn what their goals are. Do they provide detailed information about how the contest works, as well as what's expected of you? Or do they just request your credit card information and ask you to submit your image(s)? If you encounter the latter, the organization is most likely in the business to make a profit—the fees they collect will go toward prizes, and whatever’s left over will go into their pockets. You may be okay with this if your goal is to win a prize. However, if you want more out of the competition, move on and align yourself with an organization whose vision is compatible with yours. This may mean you're looking for an organization that positions itself as a year-round resource with offerings that are important to you. Again, there is no right or wrong decision here; we just want you to be sure that your time and money are being invested into the right organization for you. Tip #3: Be Aware of "Free"
There are hundreds of competitions that will let you participate at no cost - but are they really free? The old adage, "nothing in life is free," applies to more of these zero dollar contests than you may think. Scan the fine print of these so-called “free” events, and you may find that they plan to own the rights to your image and may even sub-license them to third-party companies for their use, too! As you consider entering this contest, you'll also want to evaluate whether winning that free camera bag you'll use for a few years is worth losing the rights to your image forever. On the other hand, the entry fee that you balk at paying will, in many cases, pay off in the end. Those charging an entry fee typically invest that into their competitions, to finance reputable jurors, various promotions (e.g., marketing your selected images) and celebratory events (exhibitions!) — all while allowing you to maintain ownership of your work. So before you skip over a contest because they charge an entry fee, look into where that money goes, and remember how you can benefit from what is typically a small investment in the grand scheme of things. Tip #4: Calculate the Costs Sure, the only fee written in the contest instructions is the entry fee, but have you truly understood the fine print? Exactly what else will you be responsible for? It's very important not only that you read the competition details, but also that you truly understand them as well. If you don't, you may miss a hidden message, or, even worse, a hidden cost. For example, if the competition will host a physical exhibit to showcase the selected images, will they provide the frame or expect you to frame the work yourself? Who is responsible for the shipping charges, both to and from the venue? You may notice that they will require you to supply the hardware, but not disclose the related fees in detail. Therefore, you'll need to review the information carefully so that you can determine what it is you're really going to end up spending to participate in the contest. Tip #5: Be Truly Recognized You can usually count on a competition to post the selected images on their website. However, in today's digital world, seeing your image on a website might not be as exciting to you as seeing your image on a gallery wall, where people can experience your winning print in person. Picture your photo perched atop that bright white wall for hundreds to gaze at in awe. Even better, imagine the chance to mingle with photographic peers and industry professionals, discussing your inspiration for the image, making valuable contacts and getting invaluable advice. These networking opportunities might be otherwise difficult to come by, so you want to keep this in mind when deciding which competitions are worth your time. Tip #6: Stay Exposed So, you've found a contest that's going to praise your work all over the Internet, but have you looked into just how long you'll be featured? Many competitions will remove all traces of your win shortly after the contest is over, in order to make room for the latest and greatest group of participants. However, it doesn't have to be that way. There are hosts out there who remain interested in positioning themselves as a partner and trusted source to all of their selected photographers, no matter the year. If this is important to you, it may be a better option to align yourself with a competition that will continue to showcase your photograph(s) long after you've won. In Conclusion… ...With the digital age on the rise, it means that photographs are more easy to share, which has helped lead to more competitions. Wading through the hundreds that are available to you can be a little confusing at first, but knowing what you want to get out of the competition and the - sometimes dirty - little details of the competition should help you feel infinitely more confident in the decision you make. Hopefully some of these tips have helped you get that much closer to finding your right competition - or introduced you to the world of competitions for the first time! Happy contesting! 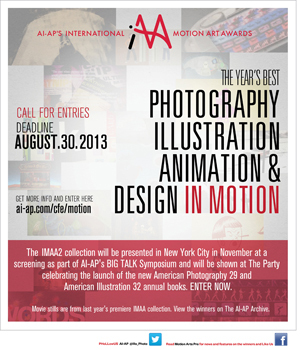 Submit by August 30, 2013 for AI-AP's International Motion Art Awards: The Year's Best Photography, Illustration, Animation and Design in Motion. The IMAA2 Call For Entries is OPEN. ENTER HERE. Winners will be presented in New York at AI-AP's BIG TALK Symposium in November and will be shown at The Party celebrating the launch of American Photography 29 and American Illustration 32. Check out the winners in last year's premier IMAA collection on The Archive. And check out features on the winners on Motion Arts Pro. Life Framer is new photo competition Every month Life Framer makes a call for submissions for images that best capture the month's competition theme. Life Framer shortlists their favourite images, then they ask a guest judge (Brian Finke is an upcoming judge) to select their winners, and display them to the world on the Lifeframe website, and at the end of the cycle in a special gallery series in London. For more information about Life Framer click here. TheDocumentaryProjectFund was founded to help make sure that photographers who want to tell the stories of their communities will be able to do so. 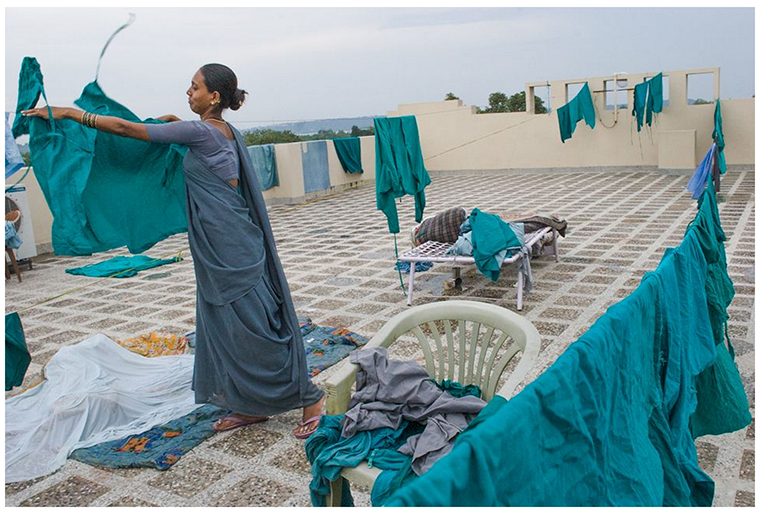 TheDPF focuses on those photographers who work within their communities. They may work locally but the issues of community are the same as those faced globally. Looking through the lens of a photographer who is committed to his community will translate to communities everywhere. Submissions for entry will begin May 15, 2013 and run through June 15, 2013. More information can be found here. Calling all students! YPA has finalized the locations for the 2013 mentoring program & has a total of seventeen teams set up around the world. The program takes place over the summer beginning June 1st, ending August 15th pairing up students with leading industry professionals. Teams will meet for eight two hour sessions, (days and times to be determined by teams at first meeting). The results of the program will be featured in an exhibition in NYC and will be prominently displayed to a worldwide audience. You will gain experience and insights from your mentors, create new work for your portfolio, develop professional business skills, and with your team will create a local campaign to promote yourselves and your work. All teams will work on a common theme this year titled “Escape”. We invite you to explore what the word means to you. If you are interested in participating, click here for more details – Deadline for applications is May 10th. 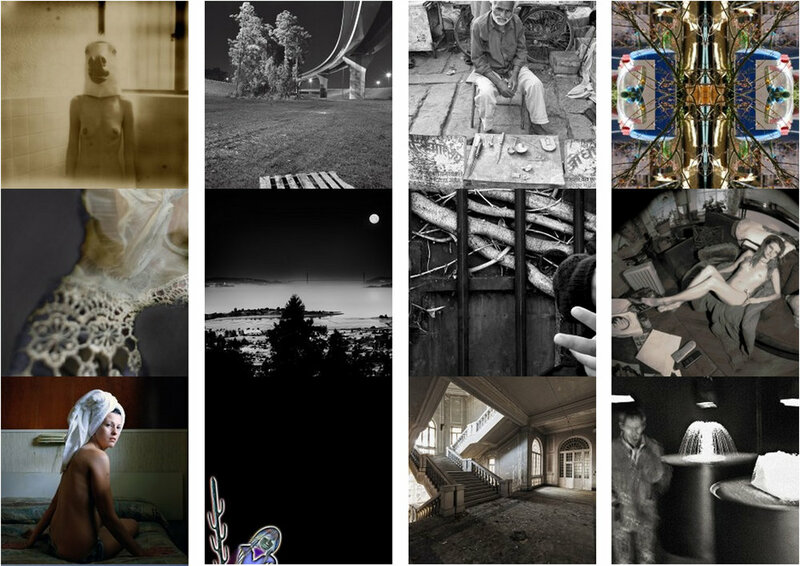 ONWARD Compé is an international photography competition for emerging photographers. Now in its sixth year, the competition seeks to increase the exposure of talented image-makers, create outlets for artists' work, and present compelling photographs in a cohesive and well-curated exhibition. This year's guest juror is celebrated photographer Mark Steinmetz, who will work in part to decide the grand prize Juror Award winners. Recipients of this award will receive a two-person show at the Project Basho Gallery, a $500 cash prize, and an invitation to present their work at ONWARD Summit '13 on April 13th, 2013 in Philadelphia. This year's highlights include ONWARD providing standard-size frames for the exhibition, chosen photographers having their winning image included on the new and exclusive Galerie website, one photograph being selected for purchase by the West Collection, and publication in the new ONWARD catalog. Deadline for submissions is 2/11/2013. 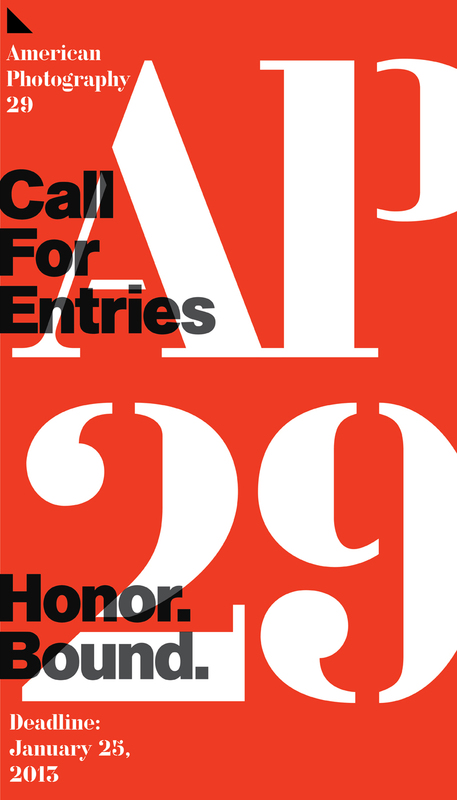 The deadline for American Photography 29 is right around the corner! Submit work by 1/25/2013 here. See winners of American Photography 28 here. Magnum Foundation has announced that there will be five Human Rights Fellowships available for the 2013 NYU-MF Photography and Human Rights Program. The application process will open on November 1 and close December 17. The Human Rights Fellowship will support 5 individuals to complete the 6-week summer program, Photography and Human Rights, at the Tisch School of the Arts at New York University (NYU), housing, travel, and living expenses. The fellowship is for individuals seeking to deepen their documentary photography practice of human rights, who have not previously had the benefit of extensive advanced study in this field. The five Magnum Foundation Human Rights Fellowships are open to applicants who permanently reside outside of North America and Western Europe. Center for Fine Arts Deadline approaching! 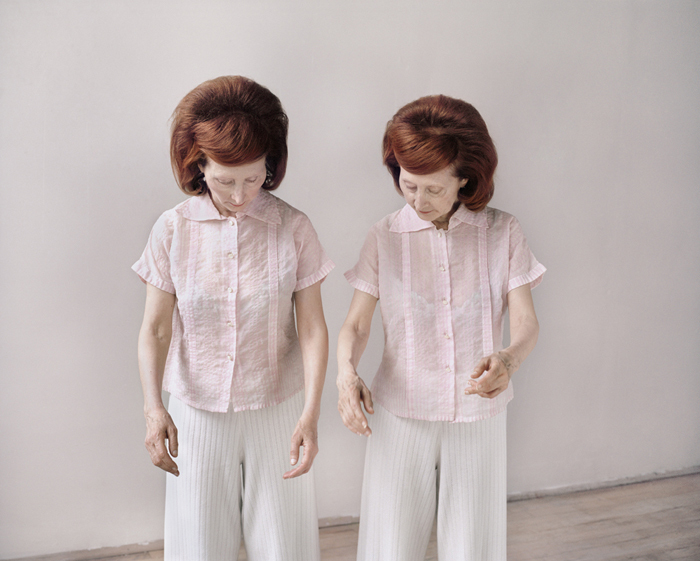 Submit your work by November 28, 2012 to be considered for The Center for Fine Art Photography's Portraits Competition juried by Charles Guice, the director of Charles Guice Contemporary. Flash Forward 2013 is now open for submissions, and I'm so honored to be a juror alongside the list of talented individuals below. Open to all photographers working in Canada, the UK and the US. Applicants must be 34 years-of-age or under as of December 31, 2012. All submission requirements and upload instructions may be reviewed here on our web site. Submit your work by December 31, 2012 to be considered! Call for Submissions: Travel by Handstand's "The Shot"
As the photo editor of the Travel by Handstand app, I'm excited to announce that we are currently accepting submissions for “The Shot.” Travel by Handstand, a new travel magazine app for the iPad that was chosen as a “Must Download” by BBC Travel, is looking for stunning photos that capture a moment from your adventures around the world. Deadline is August 31, 2012. The photo selected will be published in the September edition of “The Shot,” an ongoing feature spotlighting the best in travel photography, and will receive a check for $100. To have your image considered, please post it to twitter and tag @travelbyhst or to our wall on Facebook - http://www.facebook.com/TravelByHandstand - along with a detailed caption. The editors of Travel by Handstand will review all entries and choose one image to feature in the September edition of “The Shot.” If selected, we will contact you via private message with payment and contract details. Download the free app to learn more about Travel by Handstand. Fine print By submitting your image to Travel by Handstand, you warrant that the picture was made by you, that it was not digitally composited and that no people or property rights were infringed upon. You must be over 18. Not all photographers contacted will end up having their image published. 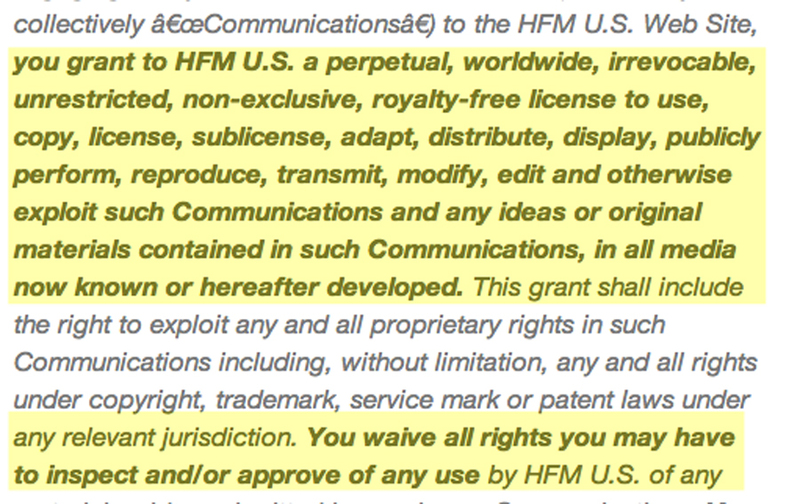 Photographers chosen to have their work published will be required to sign a licensing agreement granting Handstand, Inc. the non-exclusive right to publish the image in all media for 6 months, and then archive the image for 5 years. Photographers will be paid $100 within 30 days of Handstand receiving the signed agreement. The deadline to submit work for Latin American Fotografía and Ilustración is quickly approaching: enter work by June 30, 2012 for consideration. All Latin American illustrators, photographers, creative professionals, publishers, agencies, representatives, students and art teachers living anywhere with work published anywhere for any purpose are eligible. As are those working or studying in Latin America with work created or published anywhere for any purpose. Includes Mexico, Caribbean, Central American and South American countries. 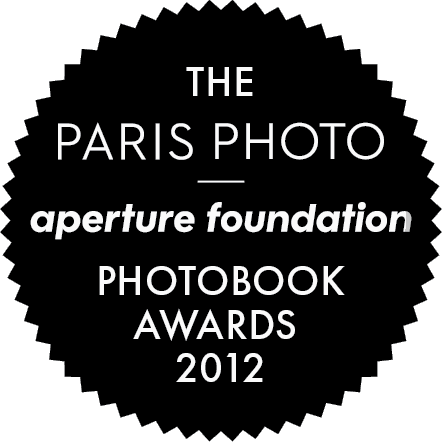 Winning images will be exhibited in New York City as part of the annual AI-AP Party in November 2012 and will be part of a traveling exhibit through 2013. In addition to be part of the Latin American Fotografía and Ilustración book, winning images appear on THE ARCHIVE, at ai-ap.com, attracting over 200 unique visitors per day. Marie Claire has a great opportunity for professional photographers to reward the best photo reports about women. To participate, register here and upload 10 photos from a single reportage, before June 30th, 2012. Their international jury will select 10 finalists including one Award Winner, who will receive 5 000€ and a a Nikon D800 D-SLR. The Award Winner's reportage will be published in Marie Claire France and in several Marie Claire International editions. And to salute all of the 10 shortlisted participants, an exhibition of their work made in partnership with Artelier Vikart will be held in Paris. PDN's The Curator is an great opportunity for undiscovered and emerging fine art photographers. The selected artists will be part of The Curator group show in New York City, summer 2012. The opening reception, which is open to the gallery-going public, will be attended by top industry creatives and personalities, all coming together for music, cocktails, and to celebrate your work! 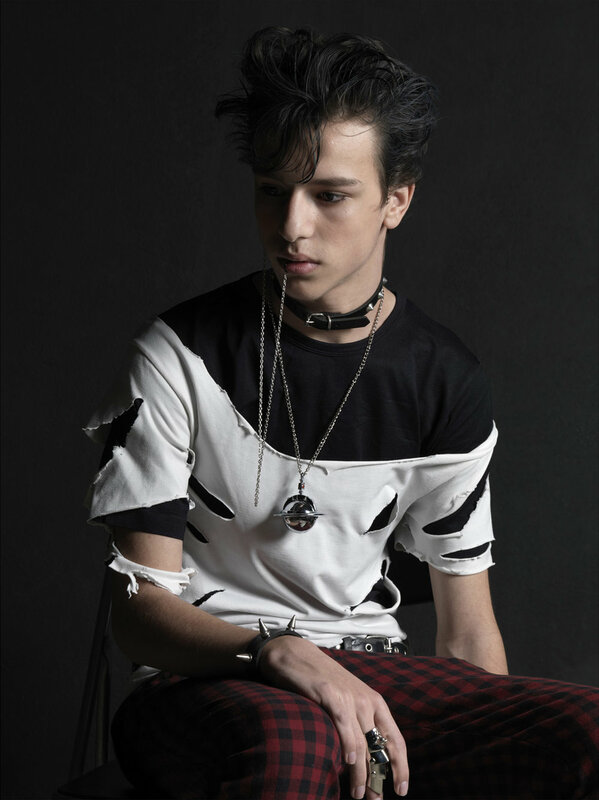 In addition, each chosen photographer will receive a two-page spread in PDN's July issue. Submit work by March 26. I’m not just looking for a collection of images from a place. I need something with a story behind it. Perhaps it’s a community of fisherman in a beautiful setting off the coast of spain, or a place in Finland where they weave textiles in an abandoned 100 year old school house (I’m making stuff up). Point is, it’s not enough for it to be just a collection of images from one place. Rather, the images need to be tied together with some theme or story. Or, they need to be conceptually so unique that the concept or photographic method (wet plate, iphone, etc) is what ties it together. I am the photo editor for a gorgeous travel magazine for the iPad called Travel by Handstand. We are looking to license in-depth photo essays with a travel focus for locations around the world (please see list at bottom). I am not looking for individual stock images, but really a body of work with a cohesive theme. Aesthetically, we are a bit AFAR, a bit Travel + Leisure. We are still in beta (download free beta app here) and have published a few feature stories. Below are some screen grabs of recently published features. The first one, on the Pamir Highway, uses imagery entirely by Matthieu Paley. This story gives a good sense of what we are looking for when it comes to travel photo essays. Also in this gallery you will find images from features we did on Palm Springs, California and Naoshima, Japan. These stories are not all by the same photographer but they do give a good sense of the style of work we are looking for. Would you like your work considered? Please comment on this blog post with a short description of your photo essay and link to a gallery. I'm looking for photo essays on Palm Springs and the surrounding areas (Salton Sea, Slab City, etc). Especially interested in images that show people doing things (not so interested in landscapes). I know there are a lot of quirky characters in those areas, and am open to seeing photos of them, but also want to see some luxury and relaxation. This is for a soon-to-be-launched tablet travel magazine. The magazine skews higher end/luxury, but we are dedicated to showing authentic experiences, so embrace photojournalism as well as lifestyle and travel photography. I will be sending out other photo needs via my mailing list. Please sign up (sign up form is on the home page, bottom right) if you would like to receive these. And please share this post with any colleagues who may have work to share. To submit your work for consideration, please email me a link (no attachments please). I need captions in order to know what it is I'm looking at. Thanks! I will post all future calls for submissions to my twitter and my facebook professional page, so please follow me there too to get the latest requests.